Cymande are now back with A Simple Act Of Faith, their first album in four decades, reuniting original members such as Patrick Patterson and Steve Scipio with John Schroeder. • Cymande (pronounced Sah-mahn-day) are a legendary funk group formed in 1971 in London by musicians from Guyana, Jamaica and Saint Vincent. Their name was derived from a calypso word for Dove, symbolizing peace and love. • The band were signed by producer John Schroeder to his Alaska label. Cymande went on to release three acclaimed albums in the early-to-mid 1970s, boasting much-sampled classics like ‘The Message’, ‘Bra’, ‘Dove’ and ‘Brothers On The Slide’. • Following some well-received reunion shows, Cymande are now back with their first album in four decades, reuniting original members such as Patrick Patterson and Steve Scipio with John Schroeder. 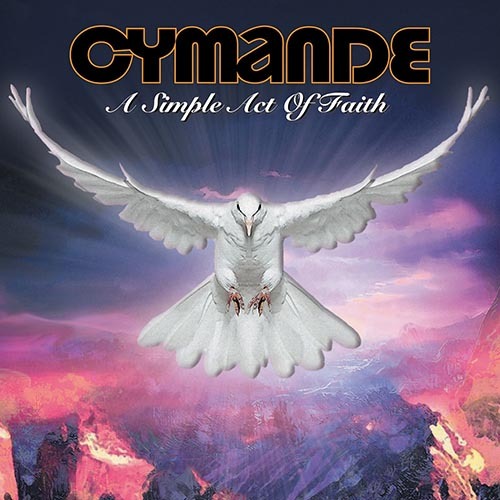 • In the build-up to the release of A Simple Act Of Faith, Cymande play several shows in the UK and on the continent. • These ten new songs were recorded in the UK, with the first sessions dating back to 2011. But despite its protracted development, the album boasts a unity which harks back to their 70s heyday!